Inspired by Daisy's post on The Journal Diaries, I wanted to start using my Smash books again. It's been months since I've touched them, and I figured that using them to store paper goods from penpals was a neat idea! 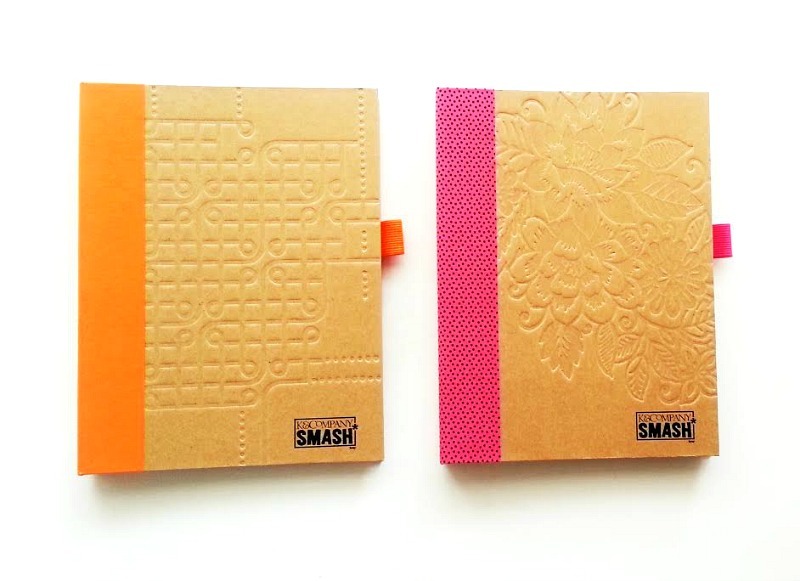 Pictured above are the two Smash books I used for the layouts below, the "simple orange" journal and the "pretty pink" journal. Both were purchased at Michaels using the 50% off coupon. 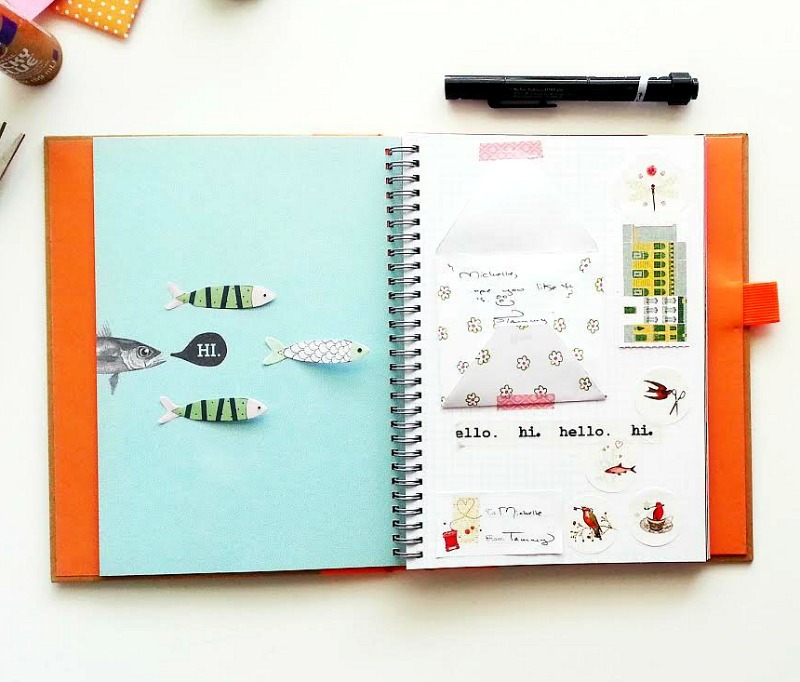 If you follow my "good mail days" segment, the pretty stationery bits used within the pages may look familiar. 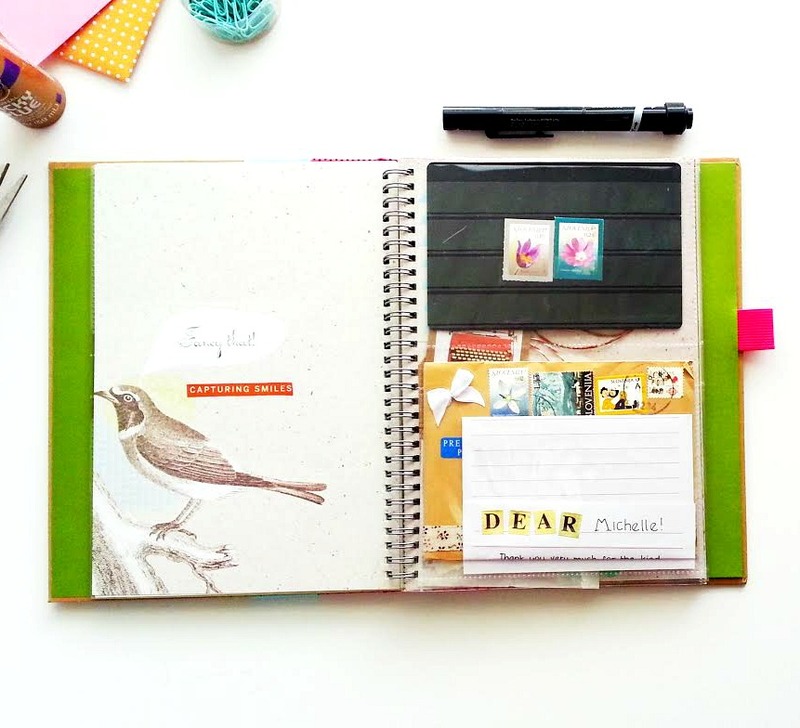 This first spread was created using mail from Tammy. This nicely decorated envelope and flower stamps came all the way from Slovenia. Thank you, Masa! And this spread was created with the help of Jayne's mail here and Ann's vintage postcard here. How do you use your Smash books? Haha, I know what you mean! 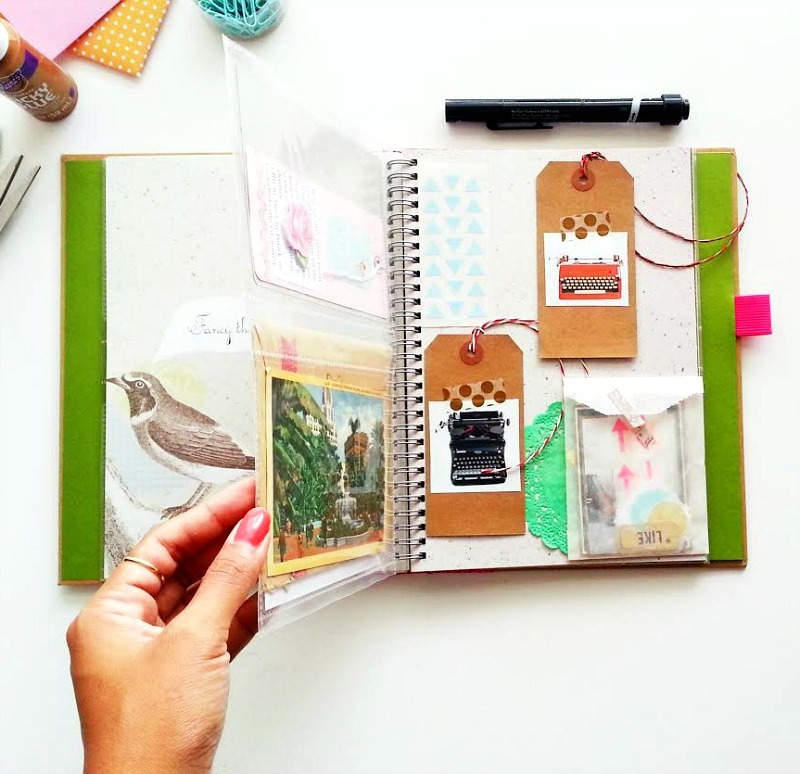 I have that same problem where I'm too scared to use certain pages because of the pretty designs. That was one of the main reasons I hadn't used these notebooks in a while, I wanted the nice pages to be decorated "just right." The smash books are good to use as the don't really require much writing or thinking. For me, it's more of a creative visual exercise, what goes nice where, which colors look beset together, etc. Yes, and blogging does take a lot more time and effort. I know how you fee! What a neat way to store papery things! Thank you. I'm enjoying this way too! Thank you for your sweet words, Ashley! If you ever do get into smashing, let me know. I'd love to see your pages! Absolutely gorgeous, as always Michelle. Welcome, Marsa! Hope you stick around to enjoy more future posts!